I’m extremely happy with the attention to detail she gives my hair. She gives my hair the shape I’ve been going for.. She now does my color and my hair has never looked better! Sierra is originally from Los Angeles, California and has relocated to the Kansas City area. 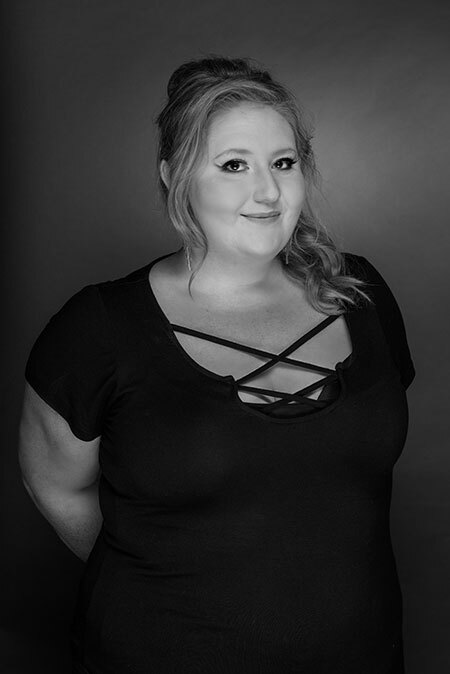 She joined the Studio 39 team in September of 2017. She graduated from Marinello School Of Beauty in 2014 in California, and was a member of their artistic team. Though relatively new to Studio 39 and the KC area, she is an experienced stylist who has worked in high end salons. Sierra received her foundation hair cut education at the famous Toni and Guy Hair Academy, where she also received advanced training on Vidal Sassoon haircut methods. After graduating she began her color career at Carlton International, a well know color salon in Los Angeles. Her West Coast color background and love of cutting caused her to seek a like minded salon. When she moved to the Kansas City area, she knew Studio 39 was the place for her. She does multiple advanced color techniques including balayage, foilayage and baby-lights, along with other advanced blonding techniques. Hair cutting is one of her favorite salon services. She is very confident with all types of hair and enjoys working with short and edgy looks. She has quickly gained a reputation for creating stylish, modern cuts with beautiful blondes and dimensional colors like caramel brunettes and reds. She is an adaptive hairstylist and views hair as art that’s worn by individuals. Sierra’s goal in hairdressing is to help her guests identify their personal style. Then teach them how to recreate at home. Her dedication in the Beauty Industry shows through her continued learning by exploring new techniques. Outside of work Sierra likes exploring new places in Kansas City and having fun with her salon family.